She became a twentieth century staple, a cousin to Karen and Susan, big sister to Allison and aunt of Madison. Thanks to Megalady for suggesting Megan as our Baby Name of the Day. Megan is one short form of the enduring Margaret. But unlike Meg, Maggie or Gretchen, she was unknown in the US until the middle of the twentieth century. 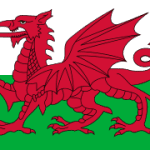 Instead, Megan originates in Wales in the 1500s as Megen. Margaret, the name of saints and queens, has been steadily popular for centuries. Take diminutive form Meg, tack on that familiar -en/-an/-in ending found in so many Celtic languages, and Margaret (or Marged) becomes Megen and Megan. Megan Lloyd George was born in 1902, likely sourced her parents’ understanding of traditional Welsh appellations. (And possibly encouraged by Megan’s ties to mom’s name, Margaret.) 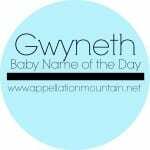 Her middle name, Arfon, is a medieval place name with mythological significance. She may have been novel, but Megan wasn’t completely out of step with given names. The US Top Ten in 1902 included Helen, and tailored names like Evelyn and Irene were also current. Over the next few decades, Lady Megan would have a career in politics, advocating for greater Welsh autonomy. The name Megan started to catch on. She debuted in the US Top 1000 in 1952, following tailored choices like Susan (#5 in 1952) and Karen (#8 in 1952). Megan entered the US Top 100 in 1975. Then along came The Thorn Birds, and by a bit of magical misunderstanding, Megan was transformed into an Irish heritage pick. Colleen McCullough called the heroine of her bestseller Meghann, known as Meggie, the daughter of Padraic and Fiona. It’s an anachronistic choice. While there may have been a similar-sounding Irish surname or Old English given name, Meghann was an unlikely choice for a young Irish girl living in Australia. The popularity of the novel and the television mini series boosted Megan even more. The name would hover around #10 from the mid-80s into the early 90s, a sister for Erin or Kelly, Lauren or Kristen. All of those once-popular picks are now solidly in mom name territory, and Megan is slipping fast. She was down to #164 in 2011. If the name isn’t fresh and new anymore, she is, at least, something of a modern staple. She’s actually more popular than Margaret, and still more often used than Greta. She may be a relative newcomer, but chances are she’ll be with us for a while. I’m rather late to the game, but your post on ’80s names got me thinking about Megan. I’ve always had a soft spot for it, especially after reading Agatha Christie’s The Moving Finger. Megan Hunter is the daughter of the first victim, and helps Miss Marple uncover the murderer. The character would have been born in 1922 England. Megan’s only downfall, for me, is that I’ve known so many of them. Still, it’s a lovely name. Decidedly feminine without an ounce of frill. I’m a Meghan (rhymes with Reagan), and I’ve always been intrigued by the variations of this name; I’ve met several Megan’s, a Meghen, a Maghen, and a Maegon and seen numerous other spellings. Growing up surrounded by innumerable Jennifers, Jessicas, Ashleys, Nicoles, etc the name had always seemed a bit on the rarer side (I was the only one in my class though I knew of two other Megans). Not until these last few years did I realized how prevalent Megan (and her variations) is. And though I didn’t always like my name as a child (especially since any personalized pencils, cups, or whatnot were invariably for a Megan and not a Meghan), I love it now. And the fact that my mother took it from a book (The Thorn Birds) makes the bibliophile in me happy. It’s definitely not a frilly, super-girly name of the sort that seem to be popular now (Isabella, Arabella, etc) but I’ve often felt that it’s a comfy name that one can relax in (not unlike a worn, but favorite old sweater). Thanks for featuring this “New Classic”. I began to appreciate Megan when I saw that the Baby Name Wizard put it in its “New Classics” section. I was always fascinated by the New Classics, but found them too boring to use. A new classic is a name that can be imagined on anyone from newborn to 40 (perhaps 45-ish), but rarely on anyone over 40-45-ish. And sure enough I know a Megan my daughter’s age (she’s 5) and went to high school with a Megan…ahem… about 20 years ago. The name doesn’t seem out of place on either one of them. But a Grandma Megan seems weird. “New Classic”, I like that. Megan is one of those names that is nice enough but I just know too many of them for it to be interesting. I’m in my late 20s and it seems like growing up every other girl had one of 6 names, in all their variant spelling glories: Megan, Lauren, Kristen, Sarah, Jessica, Ashley. That’s why it seems kind of blah. 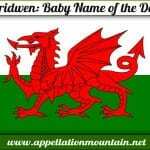 And the same way that the name Michael doesn’t feel Biblical to me because it’s so common, Megan doesn’t feel very Welsh. My neice (soon to be 20) is Megan (Meg-an) Susanne. I like the flow but not much else (the Susanne is for me). She’s been simply Meg for so long, I sometimes forget she’s not a Margaret! 😀 I love, love, love Marguerite and almost used it on Josie but I’m glad I didn’t. She’s so not a Daisy (my preferred nickname). Megan’s little brother (soon to be 17 and driving!) is Eric, which seems a bit mismatched until you realise Eric is a family name on his Pop’s side. Sweet, but very 80’s names for sure! I was going to be named Laura from the beginning, but my mother says if she considered anything else, it was Megan. I say Mehy-gan or Meg-an, like Panya said, somewhere between eh and ay. FWIW, most of the time I say this as MEG-an [as does my mother], but sometimes that first vowel is somewhere between /eh/ and /ay/. I REALLY dislike MEE-gan. I thought I read that was more of an Australian pronunciation? Mee-gan is the traditional Aussie pronunciation – I am a Mee-gan. I personally hate May-gan. Megan Draper’s anachronistic name on Mad Men has really grated on me, a rare slip by such a detail oriented show. I grew up with a Meeghan family, so there’s probably a surname connection somewhere, but like Lou, I say the girl’s name as meh-gahn. You just reminded me of one of the reasons why I’m not a fan of the name Fiona. Meggie’s mother was the first time I’d heard the name. She’s such a stern woman! My goddaughter, born in ’09, is a Megan. The name remains inside the Top 30 at #23 here in England&Wales. She is actually still at #8 in Wales when you split the data. Personally, I didn’t really like the named until young Meggie came along because I knew a girl named Megan my age who wasn’t particularly pleasant. For what it’s worth, I say meh-gahn. One of my youngest cousins (now about to graduate high school!) is a Meghan. I remember being surprised when I found out they were throwing an h in there. Ah well. Her middle name is Louise, and while I’m not usually in favour of combos where both names have the same number of syllables I think that Meghan Louise works because of where the accents fall. The 1980s Anne of Green Gables films starred Megan Follows as Anne Shirley. Follows pronounces her name “mee-GAHN” rather than the more popular “MAY-gen” . Her siblings are Edwina, Laurence, and Samantha. Megan is part of the reason I adore Margaret. I could never use Margaret as a first name because I wouldn’t be able to choose between Maggie, Megan and Daisy to call her.